This will be the last Skinpack for this year (I guess) and because I started working again on android you won't find many graphical changes but mostly important fixes. As there was a bad bug in the autoupdate feature of skinmanager, I recommend to disable the autoupdate function in the settings and update to this version starting Skinmanager from Navi button and NOT from the tools menu. All the people who already bought my skinpacks can get their update in the Gdrive folder, please always delete the old Skinmanager from SDcard/USB and extract the new one in it. Damn me!! You are right all the patches are broken on this release!! Hey Marco, is the fixed update nearly ready or is it better to install the previous version? Hi Steven, I'm still uploading some packs but if you see the 05/12 version in your drive folder, that is the correct one. I have just tested your new version of Skin Manager. It looks very good and everything works well. Now I have one more question. You write in your blog that you continue to work on Anroid. For which device will that be? I'm making a new ROM for s150 and a skinned one for s160. I am glad we will return to work on android !!! I hope it continues for S100 !!! good luck. I do not have the original firmware android (2.3, 4.0). 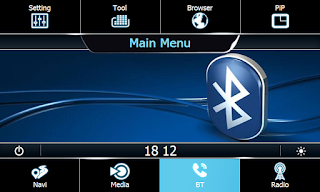 I have problems with touchscreen in Android old version ( latest S150 KoTiX ROM 2.6). your new ROM is compatible with all configuration MCU? My new ROM cannot solve the problems caused by MCU incompatibilty, it just have all the features of 2.6 rom, more graphical changes and some more goodies (except aroma installer). Are you sure that your problem is not related to overheating? Replacement of the MCU Wince not correct. I've created a new ROM, please contact me by mail. Please send me an email with your purchase data, your googlemail address and your model number Cxxx. Can you contact me by.mail please? My name is Fabio and leave in Brazil. I installed the winca s100 and try search new functions for this and found your site. 1) I saw your customizes skins. Are they compatible with my winca? 2) the language . Has Brazilian Portuguese? 3) how I can buy this skins and how I install? 4) I saw that you have a firmware updade. This works fine? I bought skin6 this morning and I don't receive the link to download it, and how can install it, I have 5 skins installed on my dean s100, and I used your ultimate update you send me. 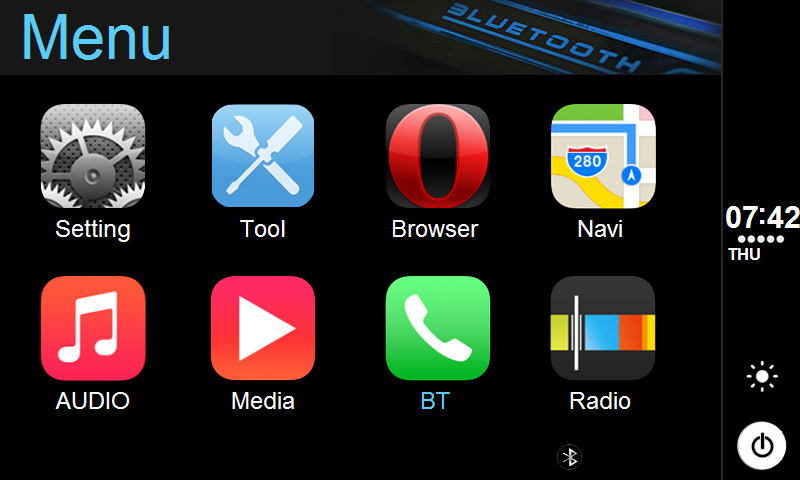 Do you have bluetooth dongle installed and bt obd? 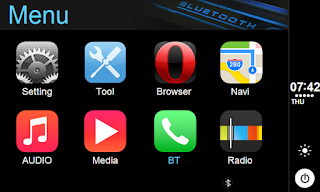 I have just bt on my car smart s100, not external dongle. It will never work with s100 BT ( it's only for phone). You need to buy an external USB BT dongle. I bought your skin pack in last year and it work well but I could not update to the new one. The system always hang when I press navi button for updating. I did change to other micro SD card but still same issue. please contact me by email so we can talk better. Send me a picture of the content of the sdcard. friend, after I make this update I noticed that the Player Nitrogen not play two more folder levels. eg / "Artist" / "Album" / "Music". yes, I did the update of nitrogen in this way. If you prefer the older version you can replace it with older skinpack. I tried to go back to an older version 20.9.15, however I receive the following message when I try to click on "skintool", "external storage is missing, you CSN only uninstall skin". hello, I managed to do, made by hand, I used the managed r files and copied the NITROGEN folder of the old version and subistituir and everything worked out. thank you. I would like to update, but i dont seems to find the Gdrive folder. Nope, i'm sorry but i'm busy with android in this period. Let's say that before summer you'll have it. Can you add Mirror-link app in extra or main scrin (ex. 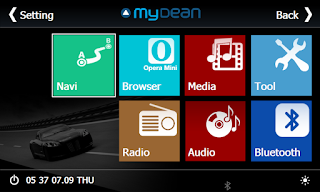 mydean 5.14)? It'is very good function. I can send mirror-link app if you need. Hi, don't it need a cable for it? Does it work with wifi? It worked only with cable. Normal USB cable? Or otg port? My HTC One S supported otg. But I thing otg not needed for Mirror-link. in your S100 Skin Manager there is a feature Change Buttons Function. Can you please explain how this feature works? Is it possible for example to change the function of the button DVD such that when I press the DVD button I run Video or Radio? Thank you for your answer in advance. 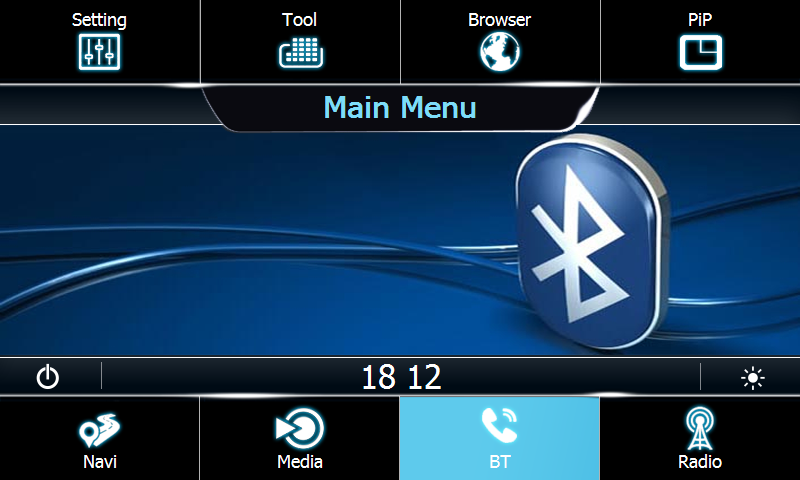 Hi luis, the bluetooth names are shown only if you have the new mainboard with dsp and new bt module. If you don't see them you probably have the old board. 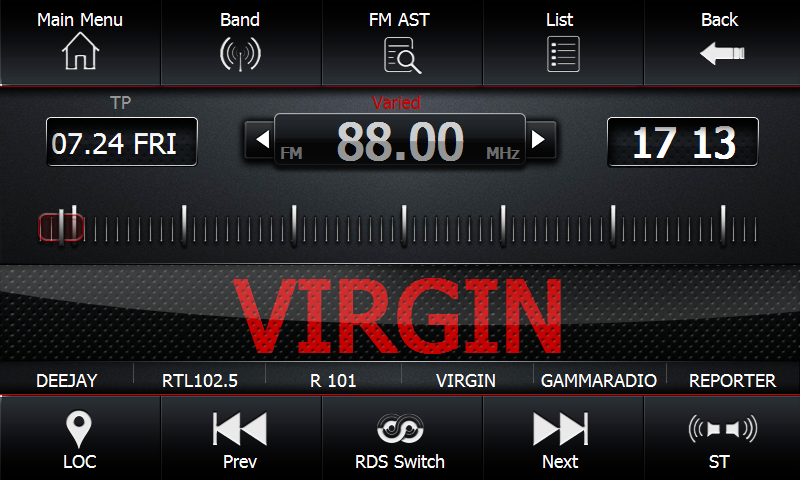 After updating new firmware (1.2.11.0 on C026) I can't use Dean player, I had to choose earliest versions. Could you please comment on this, and when we can expect further updates? There is exentially no differenze between 1.2.11 and 1.0.11 so the only patch available is for 1.0.11. Good morning Kotix , okay? First apologize my english , I used google translator, but I enjoyed the skin CarPlay , want to buy , but I have some questions : of to put on my device and keep the Portuguese language ? Portuguese is not a problem, i can explain you how to add or use portuguese on my software. Ok Kotix , the Nitrogen is the skin 3? - Random files are not played, you only get a noise and the file is automatically skipped. It happens even with files in the same folder. - Speaking about random (lol), random engine is not really random, but seriously predictable. As I said I have over 7000 files in my playlist but it keeps playing the same, maybe not over 150 files. And even in the same order! I tried to delete the entire playlist and add them again with no better results. To make an idea, I have a folder with the a discography over 20 subfolders and 200 files but have not heard more than 3, and from te same folder. In the other hand, another folder with another's group discography and only 3 subfolders, about 40 files and are sounding again and again. Any way to correct this? Or will be fixed in further versions? Hi, embedded artwork is not supported right now. 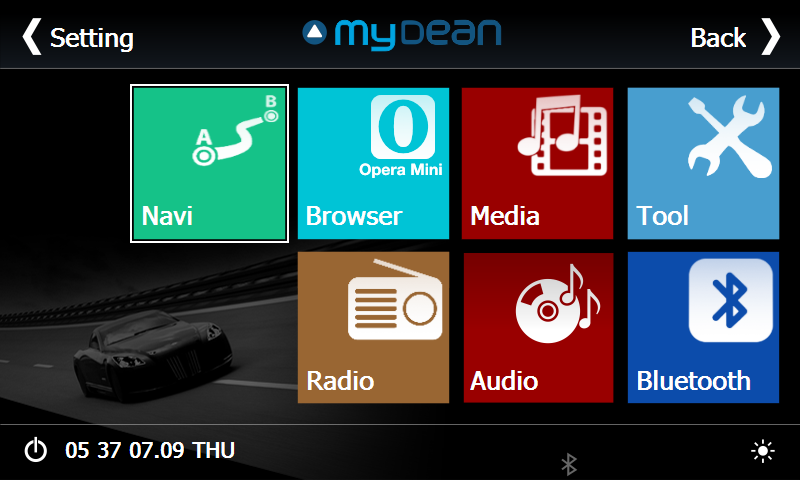 The only alternatives are the Original\Mydean Player or VOplayer. Replace the files in the extras folder in skinmanager and update Nitrogen with skintool. In the Shop\S100 section select the pack you prefer. rom 23-04-2016 s160 cuando mete marcha atras . y se conecta la camara, el volumen baja un 30% menos , es cosa de la rom ? No, my software don't work on your unit. y muchas gracias por responder, muchas gracias. No idea, no conosco esto modelo. 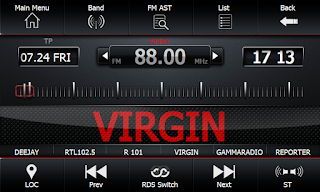 Hi kotix, in one bluethoot screenshoot of the carplay theme appear the songs name and AVRCP connect. Is that a feature of this theme?? My S100 with the original or now the skin4 doesnt show this information. Thanks. Hi, that feature depend on the motherboard versione you have. Old motherboard without DSP, have an older BT module that doesn't support songs infos. Ok, so i guess mine is an old one. Thanks!!! hai skin x audi. come le ha audi recentemente?